2. This is a step many of you skip. I myself skip it too all too often, but when I don’t, I’ve been using a toner on a cotton pad to remove the last dirt and rests of the cleanser on my skin. Although not a new thing on the market, micellar cleansing water is new to me. I’m actually not sure why I haven’t stumbled upon it before. 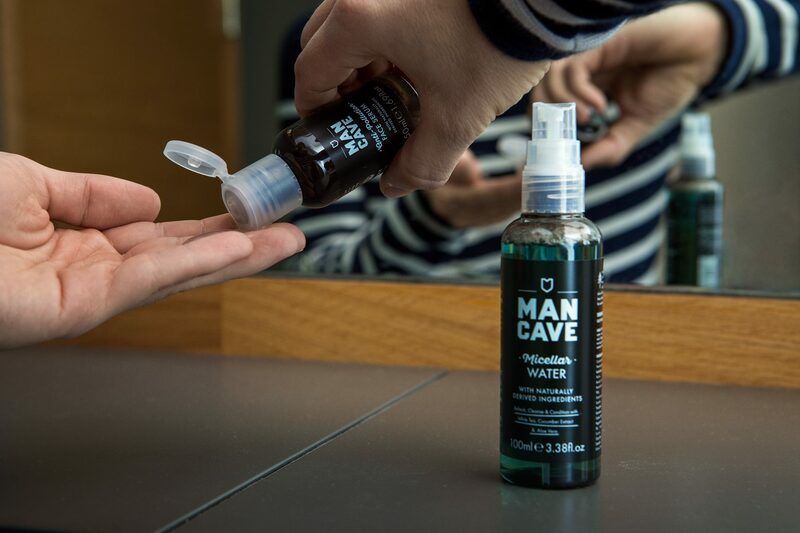 ManCave’s Micellar Cleansing Water is to be used in the same way as your regular toner, but it is a lot more effective in removing impurities from your skin. Micelles are tiny balls of cleansing oil molecules suspended in soft water and together they act as magnets to draw dirt from your skin. You simply use it by spraying a bit on a cotton pad, just like you’re hopefully used to doing with your toner.